Why Leaving Young Children in the Car is Never Okay | Metro Lock & Safe Inc.
Posted on October 30th, 2014 by Metro Lock & Safe Inc. Most parents can think of a time or two that it would have been far easier to simply run into a store, gas station or what have you than to haul several children in and out of car seats just for a gallon of milk. 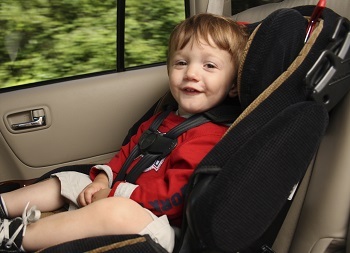 But with more and more media attention now being paid to hot car deaths, well-meaning bystanders and other issues that arise from parents leaving children or even four-legged friends locked in cars, the subject has grown hard to avoid. It’s not always as easy to fix as simply calling a locksmith in Phoenix AZ, so here are a few of the many reasons you must never leave your kids in the car without you. Leaving young children locked in the car while you run an errand is a bad idea anywhere, but even more so here in Arizona, where triple-digit temps are often the norm. Temperatures inside your car escalate fast, and before you know it, it’s 110 degrees inside your vehicle, even if it’s only 80 or so outside. Simply put, there is NO amount of time that is safe to leave your kids alone in the car, so to completely avoid the chance of a hot car casualty, keep it safe by bringing your kids you, with no exceptions whatsoever. Awareness about the dangers of leaving young children in the car alone is increasing, and that’s a great thing. What it means, though, is that more and more people are on high alert for this type of activity, and that someone is likely to blow the whistle on you for this kind of behavior even within the minute or so it might take you to run into the store. Even if your intentions were good and you could see your car the entire time, the cops that arrive will likely not want to hear any excuses, so save yourself the embarrassment by not leaving them in the car alone in the first place. More than that, though, you may be in real legal trouble! You may also end up with someone having broken the widow while they wait for the police—something that is perfectly legal when a child or pet left has been left in a car. 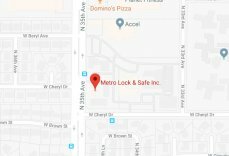 These types of emergency situations are largely avoidable, but in the event that one does occur, Metro Lock & Safe Inc., your local locksmith in Phoenix AZ and the surrounding areas, should be among your first calls.